Sometimes life moves like a big storm – quickly and abruptly changing without warning so that you just simply lift your legs and high step right on through the chaos. Yep, there’s been some high-steppin’ in these here parts! In the midst, right when the eye of storm was passing us by, hubby and I ran off to Montana for a week-long escape from it all. Like a life preserver – a necessary raft to ride us through the next waves of the storm – Montana was exactly what our storm-tossed souls required. Here is a photo excerpt from our vacate. Enjoy! A step back in time, a memory relived. Transported in a flash to years gone by through a simple activity that had lain dormant those eighteen years. 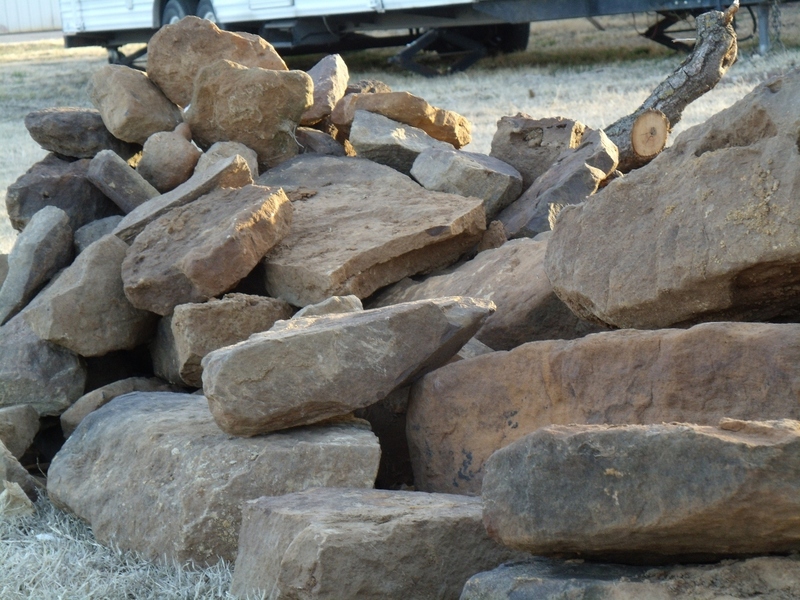 I told Hubby a few weeks back that it was time to travel the country roads looking for roadside stones to bring home. He scowled and asked their purpose, then mellowed when I told him they were to be put to use in the garden this year. Enter Son T and his lady, S.
T showed apprehension when I asked if he wanted to go treasure hunting. The parameters were much too broad, and he wanted definition. Even when I explained, he didn’t quite buy in to the “fun”. A few hours later, I brought it up again. Time had softened the edges of the task somewhat, and both S and T were agreeable. We donned appropriate garb, grabbed our water jugs and leather gloves and rolled away in the truck. As we drove, we scanned the side of the dirt roads, looking for stone upturned by road graders. We approached the “driving lesson” hill in a few short miles. It’s a steep incline, at least a 45 deg slope, that I used to teach our sons the skill of clutch-to-gas footwork. We reminisced. Just past the incline, the hill winds in a fabulous S, with rolling hill and valley spreading out to one side and hilltop and tree sprouting from the other. There were rocks here, lining the hilltop side, but they looked “placed”, erosion control, not quite in synch with the local materials surrounding us. We continued, relaxed, chatting now about the area and the memories of other drives, other times, other things. The road and countryside leveled into plains, with a lot of rich dirt and sand lining the roadside, but no rocks to be seen. T mentioned that a cut open, bared, and scarred hill was prime for the rocks we were seeking. We saw the road rising up a half mile ahead, creating just the environment we sought. It was a perfect start. The road ended just ahead, so there wouldn’t be traffic flying over the hill as we walked the sides for our treasure hunt. We donned our gloves and dug in. 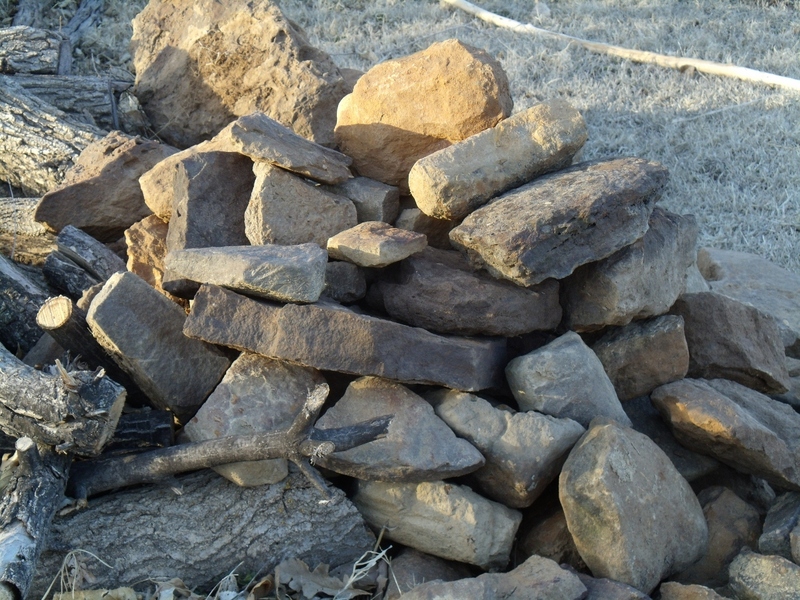 There were great sand stones here, in shapes and sizes and colors that would be perfect for the use I had planned. As we worked we chatted about this and that; we found unrecognized pieces of cast iron scraps; we breathed in the outdoors and worked our muscles. It was a good time, and it was a good haul. S had found a chunk of something that she thought might be petrified wood. It wasn’t, but we knew of a site not far off where such wood could be found, so we loaded into the truck with a new treasure hunt in mind. 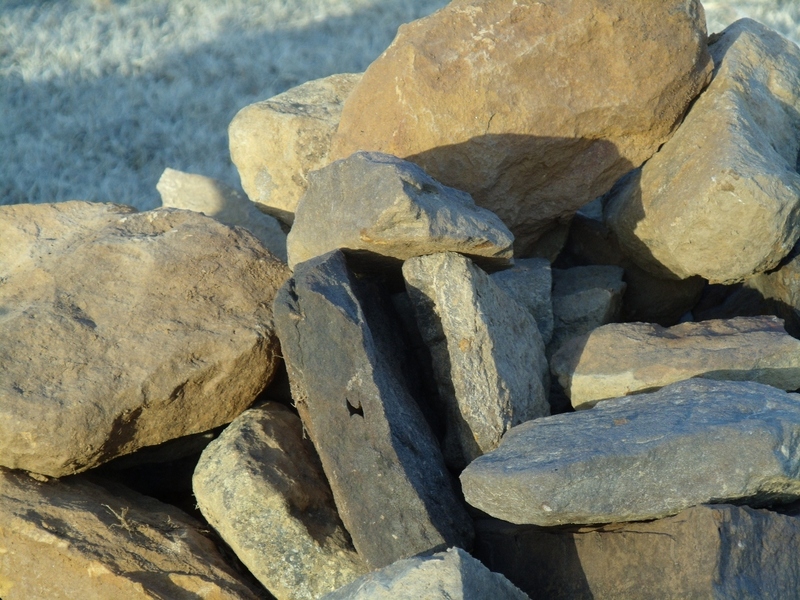 I talked of past rock hunts, shared activity with a friend who had died so many years ago. My friend was more special than most, as she was also Hubby’s sister, T’s aunt. 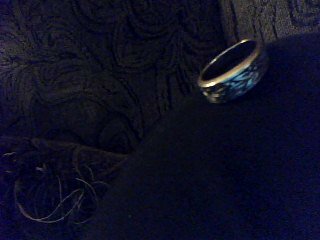 a ring given T before death and now worn on the finger of S.
Treasure, in so many forms, we’ve discovered this day.